I was contacted by the lovely people behind the company Coffee Gator, and they graciously offered to send me some of their products to review. I already feel like I have more than enough coffee equipment around my house, but both of the items they sent me seem like they could have an important place in a coffee-loving household, so I was excited to test them out. This review will be about their Vacuum Insulated French press; I also will review their Cold-Brew Maker in a later post. I love using my French presses. I own two of them, a Bodum Eileen 34 oz, and a Bodum Chambord 12 oz. Like most traditional press pots, they come with glass carafes. The nice thing about glass is that it allows you to see the coffee as it’s brewing, but glass can be fragile. I’ve broken the glass carafe of my Chambord once so I’m using a replacement carafe there. Some people also complain that the relatively thin glass of the carafes make the coffee cool off too quickly. I used to own a cheap all-metal Thermos-style French press, but I ended up giving it away because 1) I felt the coffee was borderline TOO hot for me! and 2) The scraping of the metal mesh filter against the metal walls of the carafe was like nails on a chalkboard to me. Sure, the metal french press was unbreakable, but I just couldn’t bring myself to use it when I didn’t like the end result as much as when I used my traditional glass version. 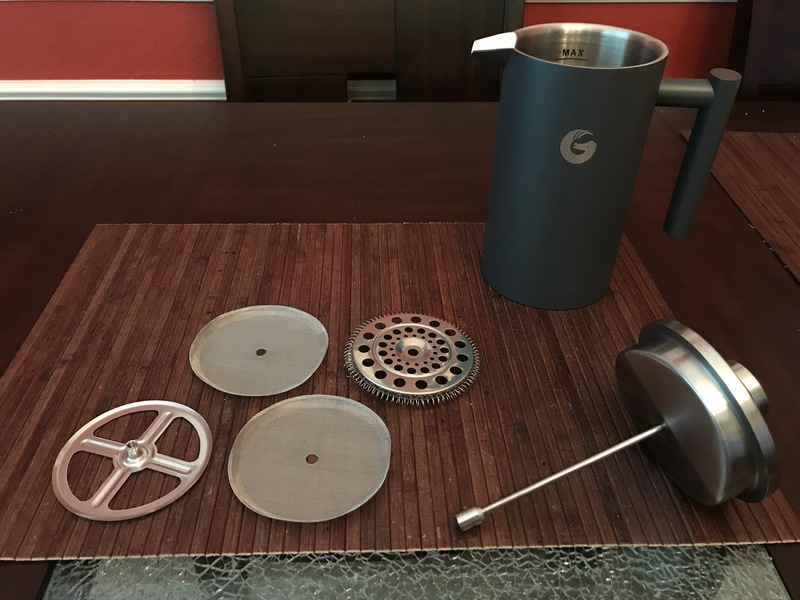 When Coffee Gator offered to let me try their Vacuum Insulated French Press, I had some misgivings about it, wondering if I would have the same issues I had with my previous experience with all-metal French presses, but I was willing to give it a shot. I appreciate very much that this company is staffed by people with a sense of humor! Their instructional cards are absolutely hilarious; I won’t spoil the jokes but do make sure you read them if you order their products. The french press components. Note that it comes with two mesh screens instead of the usual one; this is ostensibly to reduce the amount of grit and sludge in the cup. The part of the filter that had all the holes had some slightly sharp edges and reminded me of a cheese grater – handle with caution, especially around your knuckles. They also included this small and heavyweight little glass jar, which is nice for a small amount of coffee bean storage. Since this french press is meant to hold in heat more effectively than a traditional french press, I decided to do a side-by-side brewing comparison with my Bodum Chambord. The instructional card that came with the Coffee Gator French Press dictated that the user preheat the press with hot water before brewing, so I preheated both presses, to make the comparison as fair as possible. I then ground 21 grams of coffee per press and added 350 grams of water (heated to 200 degrees Fahrenheit) in each device. Or, at least, I tried. 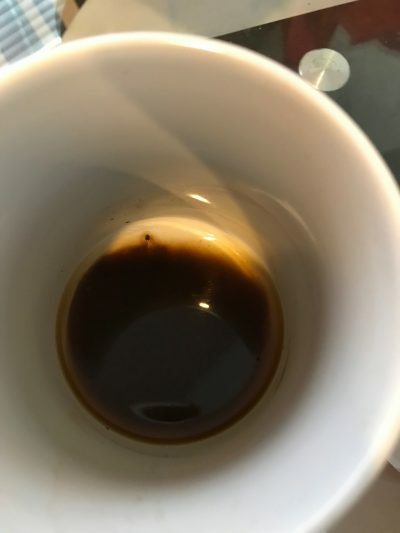 The Chambord was just a LITTLE too small to comfortably handle 350 grams of water – coffee and grounds spilled up and out of the press when I plunged at the 4 minute mark. Side note: The instructional card suggests that the user brew in the Coffee Gator for 9 MINUTES. I couldn’t believe it!! I didn’t do 9 minutes for this first test, but I did in the subsequent test. After 4 minutes, I poured the coffee from both press pots into waiting mugs (neither of which were preheated). They tasted the same – great, in fact. No difference in flavor. I then started the timer and took the temperature of both mugs with my instant-read thermometer. At 1:30, both mugs read 159 degrees Fahrenheit. At 3:00, both mugs read 152. At 6:00, both mugs read 143. I was really surprised that for all the hoopla about insulation and all, that there ended up being NO discernible difference in the temperature of the mugs. The coffee was still plenty hot, so that wasn’t a concern, but I expected the coffee from the insulated press to be MORE hot than the coffee from the glass press. Interestingly, at the 6:00 minute mark after brewing, I did taste a very slight flavor difference in the Coffee Gator coffee – it was a bit more sweet and delicate than the Bodum coffee. But it was an extremely subtle difference. Next, in the name of thoroughness, I decided to put aside my bias against brewing coffee for more than 4 minutes and I opted to actually follow the manufacturer instructions. This time, I only brewed in the Coffee Gator and I brewed with the same coffee and water parameters for 9 minutes. I preheated the press, brewed, plunged, poured into a non-preheated mug, and started waiting again. At 1:30, the mug read 158 degrees. At 3:00, the mug read 154 (2 degrees higher than before). At 6:00, the mug read 147 (4 degrees higher than before). I drank this coffee and it was definitely hotter and stronger in flavor than my previous attempt. However, I don’t think that stronger was necessarily better in my case. I lost the subtleties of flavor that made the previous cups interesting and while this second batch wasn’t bitter or sour or anything like that, it was sort of like the difference between being prodded awake and being slapped awake. Way too strong for my taste! The other thing I was interested in testing was if there was a reduction in the sludge that is so common to French press. 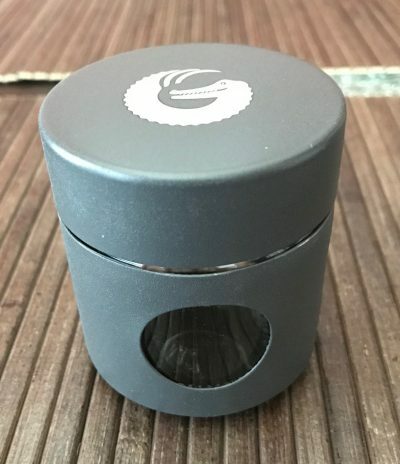 The Coffee Gator’s double-mesh design is meant to help filter out more particles to cut down on the unpleasant grittiness at the bottom of the cup. 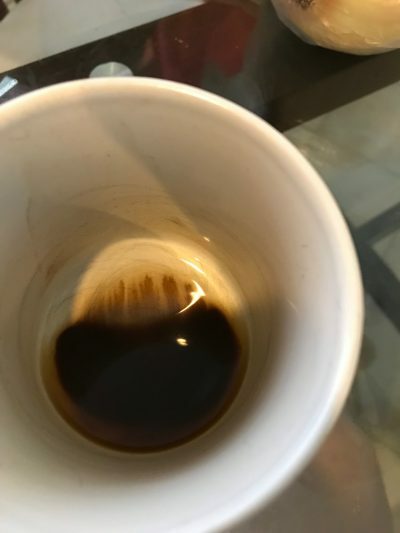 I took pictures of the first two mugs (one that had the coffee brewed in my normal press, the other with Coffee Gator) as I drained them to the last dregs. Can you tell the difference in sludge between the two? I can’t. There was no noticeable difference in the amount of grit at the bottom of each cup, which I found slightly disappointing. Grit is not a deal breaker for me (I just don’t drink the last bit of coffee in the cup when I’m having French press, it’s not a big deal), but I was hopeful that the double mesh screen would improve it. I saw no evidence that this was the case. Lastly, this particular press didn’t make as objectionable of a noise of metal against metal like my old all-metal french press did, but I was still uncomfortable every time I plunged the filter. Summary: If you follow the instructions to the letter (preheat the carafe, brew for a whopping 9 minutes, and probably preheat your coffee mug as well! ), yes, this particular press will keep your coffee hotter than a normal french press will. However, the difference is literally just a few degrees when you follow the same preheating parameters for a traditional glass french press. This press won’t make your coffee sludge-free. But, the big benefit to this particular model is that it’s indestructible. The components feel sturdy and pleasantly weighty. If you travel and want to take a reliable coffee brewing method with you and don’t mind a bit of weight in your luggage, this is a really good option. 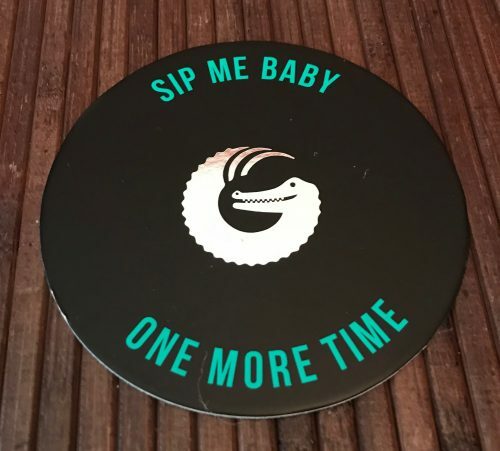 Thanks to Coffee Gator for letting me try out their product!